Ikramjan Ilmiyanov, a former adviser to previous Kyrgyz President Almazbek Atambayev, faces corruption charges. 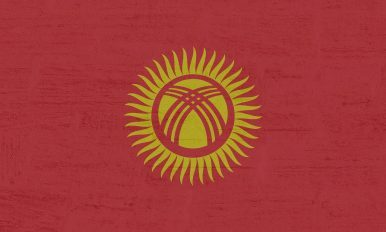 Last week, authorities in Russia detained Ikramjan Ilmiyanov, a former adviser to previous Kyrgyz President Almazbek Atambayev, and transferred him to the custody of the Kyrgyz State Committee for National Security (SCNS). Ilmiyanov becomes the latest Atambayev ally to face corruption charges in Kyrgyzstan, now run by President Sooronbay Jeenbekov. Jeenbekov was, during the campaign last year, seen as Atambayev’s hand-picked successor but distanced himself from his predecessor after assuming office. Serving as a presidential advisor and deputy chief of the presidential office, Ilmiyanov resigned from his position as head of the Kyrgyz Kok-Boru Federation in July. Authorities would later claim that Ilmiyanov had left the country in June. In early October, Akipress reported that the Kyrgyz Prosecutor General’s Office denied rumors that it had opened a criminal case against Ilmiyanov. A few weeks later, on October 19, Ilmiyanov was charged in absentia with corruption and was placed on a wanted list. The SCNS said at the time that his whereabouts were unknown. According to 24.kg, investigators said Ilmiyanov was wanted in connection with an alleged $150,000 bribe. Ilmiyanov has been put in pre-trial detention through November 28. As the case against Ilmiyanov becomes more clear, eyes will invariably be on Atambayev. Earlier this month, the Kyrgyz Supreme Court ruled that the immunity enjoyed by former presidents is unconstitutional. Meanwhile, other Atambayev allies are also in pre-trial detention facing corruption charges, most prominently former Prime Minister Sapar Isakov. Two days after Ilmiyanov was detained in Russia and flown back to Kyrgyzstan in handcuffs, Atambayev boarded a flight for Moscow. While some in the commentariat suggested he was fleeing the country, he did return to Kyrgyzstan after speaking at the 10th General Assembly of the International Conference of Asian Political Parties last week. The Bishkek Power Plant Saga: Former Kyrgyz Prime Minister Faces Corruption ChargesKyrgyzstan: Power, Prime Ministers, and Power PlantsTurkish President Erdogan Urges Kyrgyzstan to Join Fight Against GulenNew Charges Levied Against Former Kyrgyz Presidential CandidateWill Kyrgyz Democracy Pass Its Next Test?